Earlier this week, we released the new "social" screens within ViewRanger for Android and Apple. The new features mean that after any outdoor adventure, you can now combine your recorded GPS track, with any uploaded photos you took or twitter messages you sent along the way and you and your friends can view them directly from a smartphone or tablet. (See our screen grab examples, to the right). 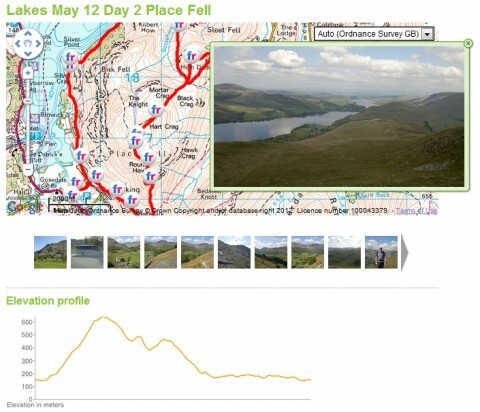 See what routes other ViewRanger customer’s have created and published. Find and “favourite” people with similar interests, so you can always see their latest adventures. 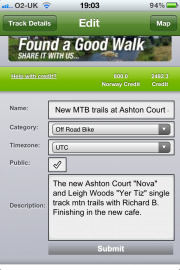 Find and “favourite” expert trail authors and easily download their routes to go out and explore. Want to start sharing Trip Stories of your adventures? 1. Make sure that you create an account in the ViewRanger app, when prompted at start-up, if you haven't already done so (or use organizer > settings > account ). ii. Go to our web service at www.my.viewranger.com, log-in using your ViewRanger account details and select "Plug-ins" within section My ViewRanger account. Enter your FLICKR account info in the flickr section to link your photo's. N.B. While you are logged into My.ViewRanger - why not create your profile and add a personal photo, so people can see you. 3. Set-up done...You are ready to start creating trip tracks with photo's! Now, as you record your track using ViewRanger, start taking photo's using your phone camera. When you are finished - stop the track recording. Once back in cell signal or better still with WiFi. Launch the Flickr app and upload your photos from the camera library. Then synchronise the ViewRanger app. Go to "ViewRanger Store" within the App and view your track and photos. Scroll down to "Edit Details" to give your track a title, activity category and add a few words of description (see image on left). Finally, you can change tracks to be Private or Public either using the tick box in details, or the "eye" icon when viewing the track within the app, or set your default on the web at My.ViewRanger. Your track and photos are also viewable on the web, and a link to your Trip Story can easily be shared by email. 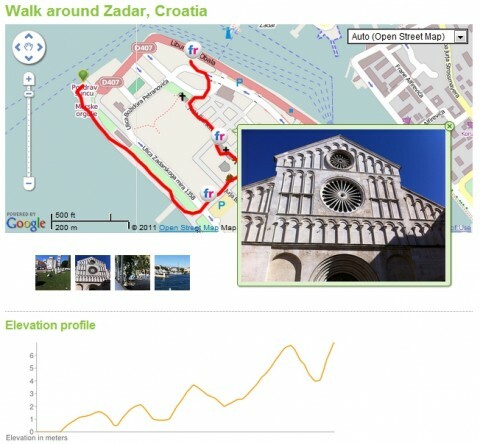 You can even embed your own Trip Story maps within your own website or blog using the "widget" code shown on the web page.